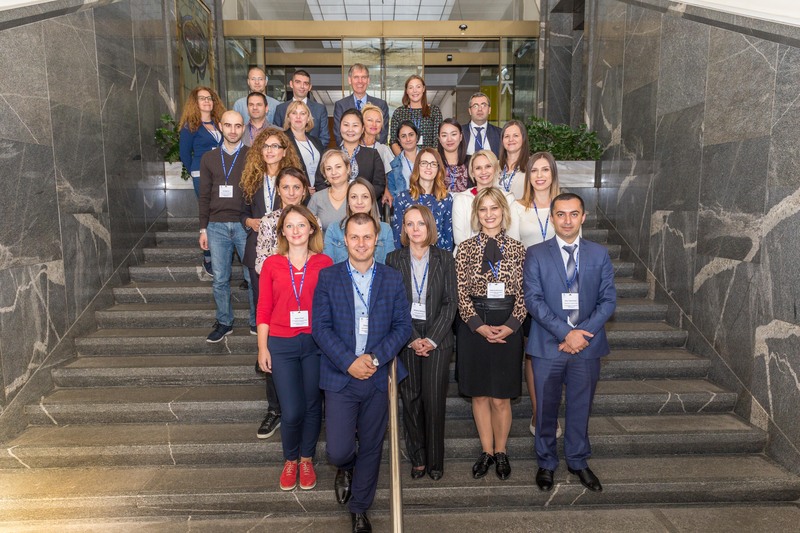 This course was delivered as part of the Tax Policy and Administration Learning Program, primarily supported by the Ministry of Finance of Netherlands, Slovenia’s Development Cooperation, and the Ministry of Finance of Slovenia. The overall objective of the program is to contribute to strengthening of beneficiary institutions’ capacity in implementing the EU recommendations under which the revenue authorities can enhance tax compliance risk management. In a bid to fine-tune learning to regional needs, facilitate buy-in and ensure longer term learning results, we strive to identify experts from our constituency, training them and involving them extensively in the delivery of our learning activities. Including a train-the-trainer approach has allowed us to establish an extended community of regional trainers who advocate learning by sharing practice. This learning initiative aimed to inspire SEE tax official to get involved in sharing their knowledge and experience on topics related to modern approaches to tax compliance at our future learning initiatives delivered within our Tax Policy and Administration Learning Program. In this regard, the event gave tax officials a frame of reference for understanding how learning works and how to best facilitate the learning of others. They had an opportunity to apply different techniques and tools when designing and facilitating a dynamic, engaging and effective knowledge sharing activity. We also looked into ways of creating a stimulating learning environment. 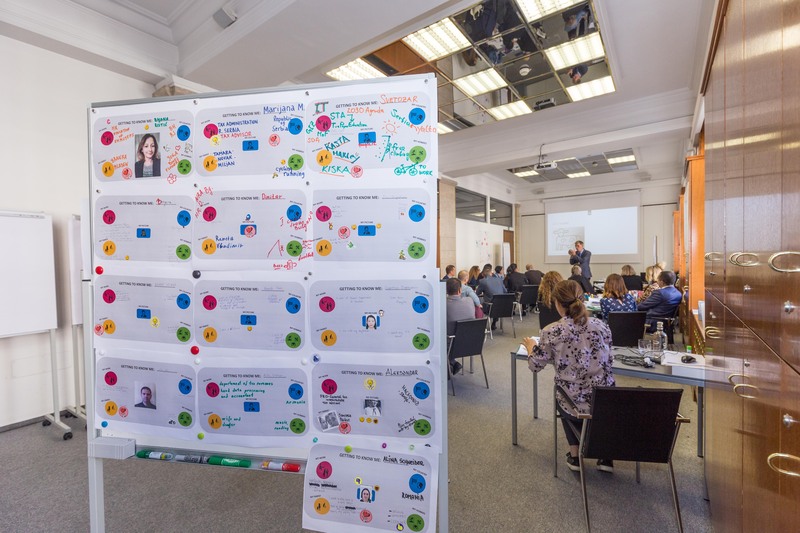 Throughout the event participants were also encouraged to reflect on what is their role as a facilitator, what are their strengths and where is room for improvement. In this way, they were able to give and receive constructive feedback, distil relevant lessons, and feed such information back into their practice of facilitating the learning of others. Workshop sessions were highly interactive. Participants were encouraged to share your experience, recognize and encompass different perspectives, and work in teams. This Training-of-Trainers event was designed for mid-to-senior level officials at tax administrations who require developing skills and confidence for delivering participatory and reflective learning activities and contribute to our efforts of promoting regional knowledge and experience exchange. No fee was charged for officials working in the public sector. Travel and accommodation costs for up to two participants from Armenia, Bosnia and Herzegovina, Bulgaria, Croatia, Georgia, Macedonia, Moldova, Mongolia, Montenegro, Romania and Ukraine were covered by the Ministry of Finance of the Netherlands. Applications of additional self-funded candidates from the SEE region (and beyond) were also considered. Meals and refreshments were provided during the event. I’m Moniek Bekooij, 53 years old, married with Rob and have a son of 21 and a daughter of 19 years old. I studied in the east of the Netherlands educational technology on the Technical University of Twente in 1983-1987. During 19 years I’m working for the Netherlands Tax and Customs Administration. I designed and developed a lot of fiscal training programs for our company. Also I designed and developed our 4-days didactical training for part time teachers of the Netherlands Tax and Customs Administration. I love training groups of teachers and executing workshops for yearly meetings of our part time teachers. For me it’s the first time that I will train an international group in the English language. I’m really looking forward meeting and training you all. See you in September. I am André Booms, 56 years old, married with Jantine and have 2 sons of 22 and 20 and a daughter of 18 years old. At Utrecht University, in the centre of the Netherlands, I studied science of education. During the last 20 years I’m working for the Netherlands Tax and Customs Administration. The last years I especially worked in the field of Customs; as training designer, but also as training policy consultant. 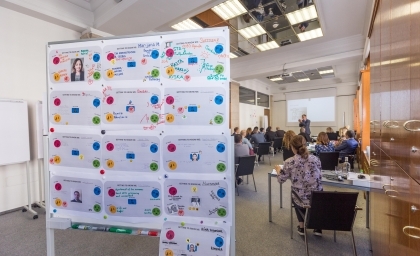 Further on I delivered many times didactical trainings for trainers in the Netherlands as well abroad in countries like Estonia, Macedonia and Bulgaria. I’m really looking forward to meet all of you in Slovenia and have together a successful training.